Whenever you modify the underlying objects (tables, data types etc) of any non-schema-bound stored procedure, user-defined function, view, trigger mostly due to customization then your object will not address those customization and might give you error or unexpected results. So how to fix this ? Before proceeding with the solution, let me create a sample table & a table-valued function to demonstrate the solution. Lets me show you the problem and its solution step by step. Lets modify the table by adding a column in it. Once you modified the table, lets browse the table-valued function and see if above change (Added a new column in the table) is reflecting. Oopss…… If you look at the above result set, you can observe that whatever change (Added a new column in the table) you made in the table, did not reflect in the table-valued function. It means that whenever you modify an underlying object of any non-schema-bound object then the metadata DOES NOT get updated automatically. 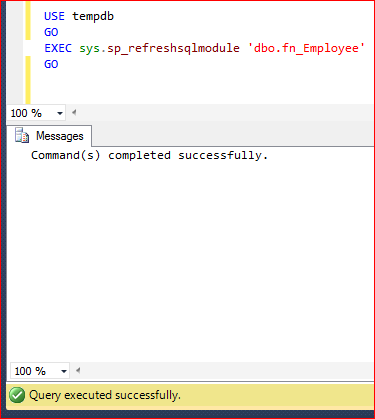 Lets update it manually with the help of sp_refreshsqlmodule (One of the system stored procedures). It seems, table-valued function’s metadata has been updated in the above step. Lets browse the table-valued function to verify whether its metadata has been updated successfully or not. 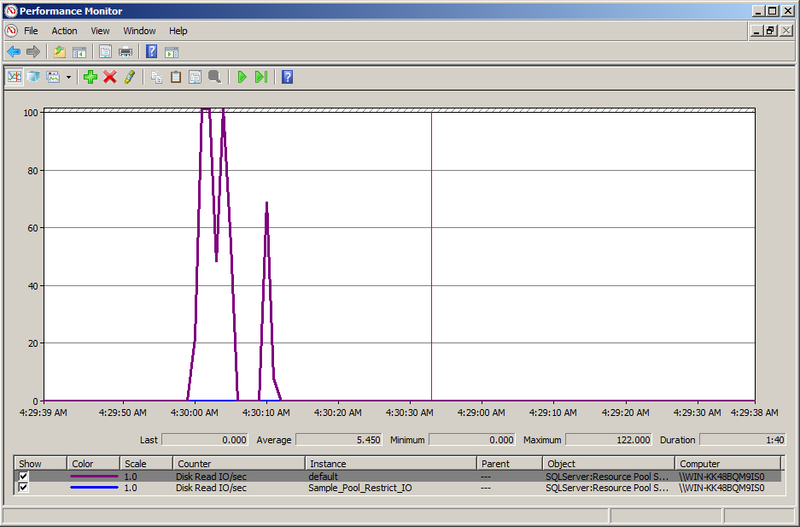 As you can see above the table-valued function’s metadata has been updated successfully. 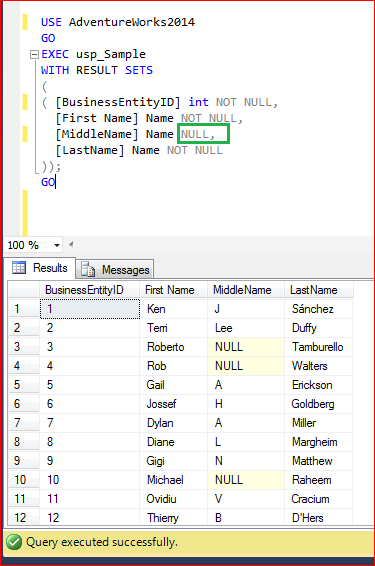 The bottom line of this article is, whenever you alter any underlying object (table, datatype) of any non-schema-bound object then DO NOT forget to refresh the metadata of that particular object using sp_refreshsqlmodule. Resource Governor is one of the best features shipped with SQL Server 2008. 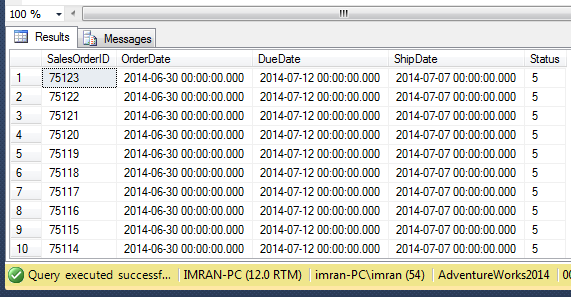 We use this feature to handle SQL Server workload and resource allocation. However, if you go into further details of this feature, you will be shocked to see the level of control it gives you to control over CPU, memory on the basis of incoming requests from the application/user etc. But I have been hearing a very common QUESTION since SQL Server 2008 and that is, can we control physical IO using resource governor and the ANSWER is YES, you can do it in SQL SERVER 2014 & Above. But How ? 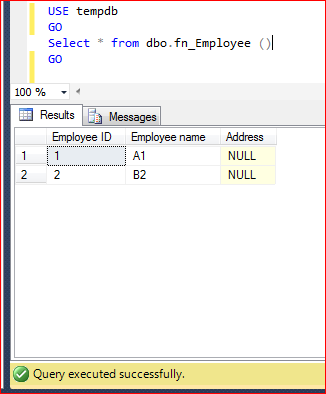 In SQL Server 2014, we have an additional control in resource governor namely CONTROL PHYSICAL IO. In other words, if you would like to restrict a user/application to use limited physical IO, you can restrict it with this additional control. You can implement this additional control in resource governor by just setting up two options which is MIN_IOPS_PER_VOLUME & MAX_IOPS_PER_VOLUME. 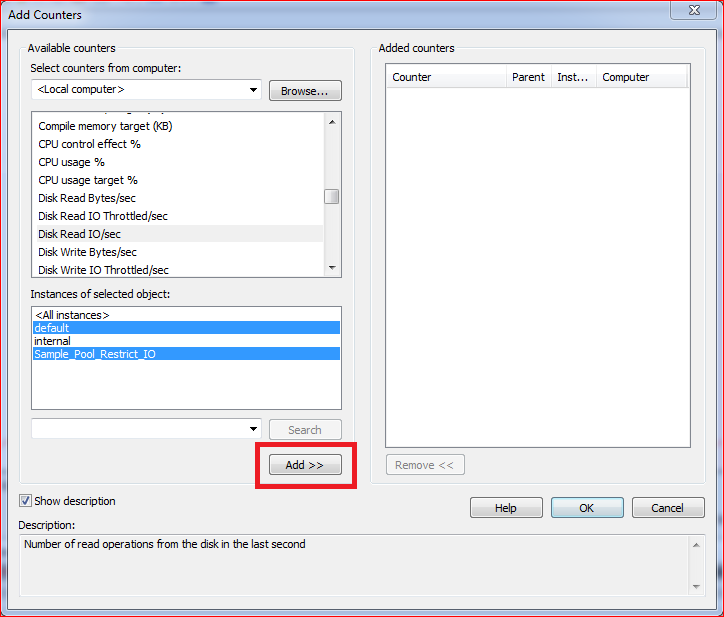 Let me demonstrate how to control physical IO in SQL Server 2014 step by step. First of all, lets create a pool as usual and restrict its MAX_IOPS_PER_VOLUME limit to 50 ONLY, which means that whatever set of users / applications will be used, this pool cannot exceed 50 Physical IO. Once we created the pool, lets create the workload group. This is also a usual step while configuring resource governor. Let’s, create a test user, later on I will demonstrate how resource governor will restrict physical IO for this test user. Create a classifier function and define if the above created user is the current user. Then classifier will assign the restricted IO workload group to this user. Then each time this user tries to use physical IO, it CAN’T go beyond 50. SQL Server will restrict this user up to 50. Let’s assign the classifier function (created in the above step) to resource governor and reconfigure the resource governor to implement new settings. Now, we are ready to test the new feature (Control Physical IO). To test the feature, let’s open performance monitor, add counter and then select resource pool stats object, further select Disk read IO/sec and add default and custom Pool (Sample_Pool_Restrict_IO) created in step 1 and press ADD BUTTON as shown below. 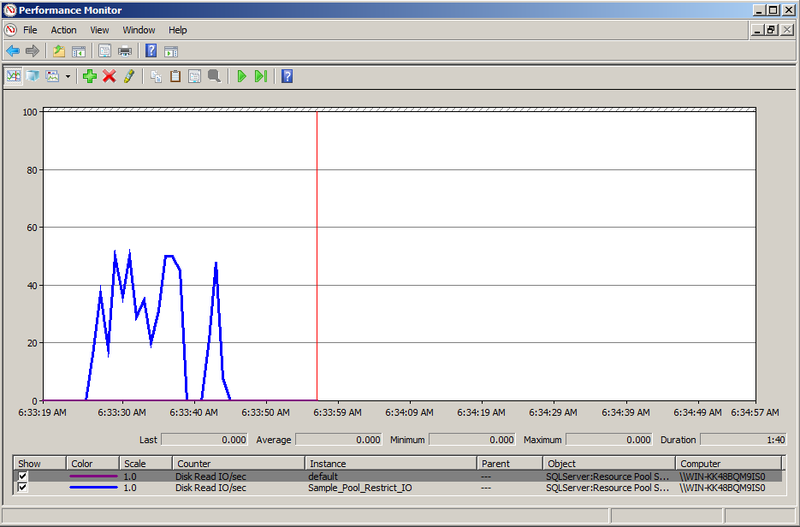 Now, we setup performance monitor to test the physical IO control feature via resource governor. Lets login with any user except the one created in step 3 and run the given below script and view the results in performance monitor. In my case, I logged in with sa and executed the script. Note: In the above results, you can easily view that the DISK READ IO/SEC reached the maximum of 122 and it may go far from it as well because we did not restrict DISK READ IO/SEC for sa user. This time lets login with ‘dba’ user which we created in step 3 and execute the same script which we executed in the above step. Note: In the above results, you can easily view that the DISK READ IO/SEC reached the maximum of 50 and why is it not going beyond 50 is because dba user has been restricted by resource governor using physical IO control feature. As you can see above that this feature really gives DBA’s more control on physical IO and it would be very handy for the DBA’s where they have serious problems with I/O which can be from users / applications. Earlier, I have written a blog post about how to split a single row data into multiple rows using XQuery. 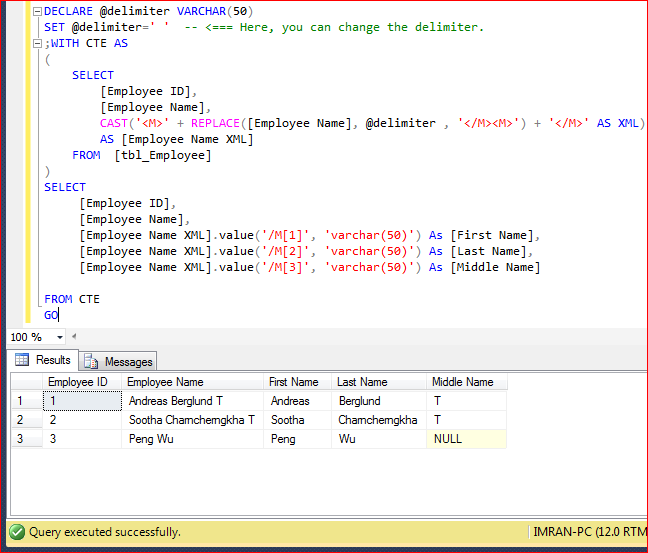 Today, I came across a situation where I had to split a single column data into multiple columns using delimiter. Lets me create a sample to demonstrate the solution. Given below is the solution, where we need to convert the column into xml and then split it into multiple columns using delimiter. You can use any delimiter in the given below solution. 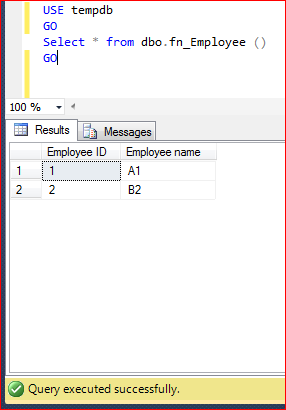 In my sample, I used a blank space as a delimiter to split column into multiple columns. SET @delimiter=' '  -- <=== Here, you can change the delimiter. Let me know if you come across this situation and its solution. Earlier this week, my team & I were working on financial reports and we developed some giant scripts in order to generate report data. Once we were done with the report, we came to know that we did not implement dynamic sorting in the report. Ooopssss !!!. 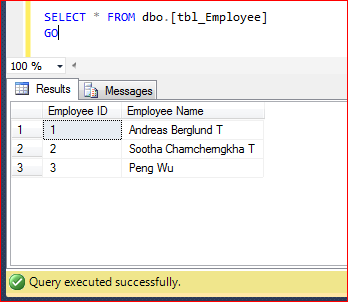 Now do we need to re-write the query and convert into dynamic query ? 😦 Of course NOT. What you can actually do is, write a conditional case and make it dynamic sort but it will increase the size of your query depending upon how many conditions you have. 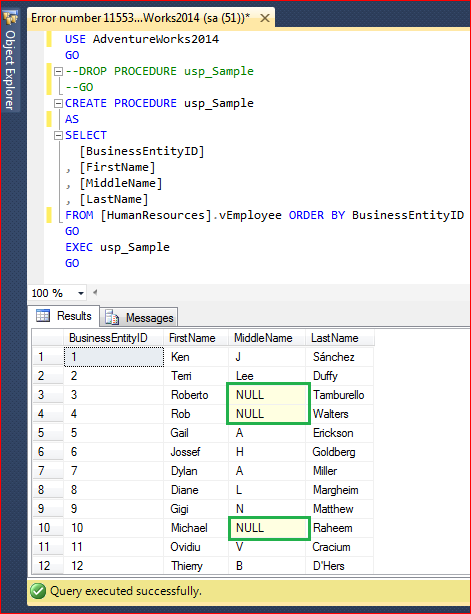 In today’s post I will implement the dynamic sorting using CHOOSE function & CASE Statement. First of all, I will find the column number using CASE Statement and then pass the Column order number to CHOOSE function to actually sort the column. It will actually reduce the size of your query. Given below is the script which will dynamically sort the query. SQL SERVER – Fix – Error : 262- SHOWPLAN permission denied in database. Few days ago, I created some users in my development environment and gave them access to use my development database. 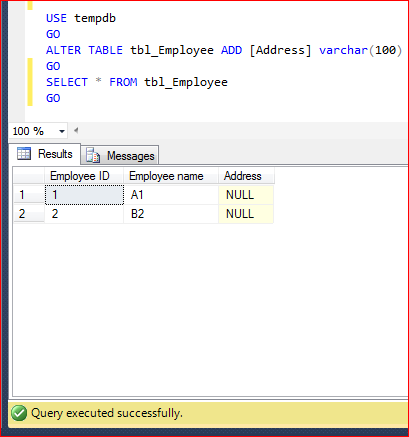 After sometime, I received a complaint that when they run a normal query it is working fine but when they try to run a query along with execution plan (Ctrl + M), SQL server generates given below error. 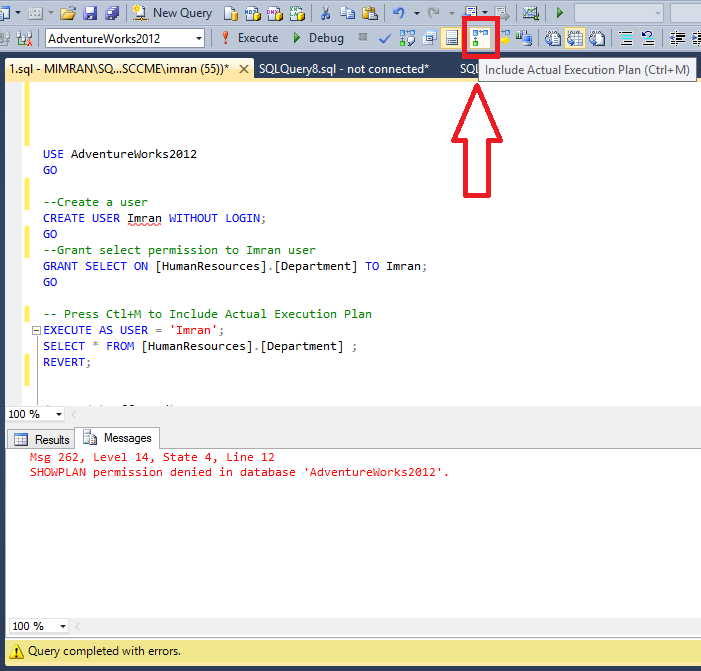 Error Message: SHOWPLAN permission denied in database ‘AdventureWorks2012’. Let me create a sample to demonstrate this error. SHOWPLAN permission denied in database ‘AdventureWorks2012’. 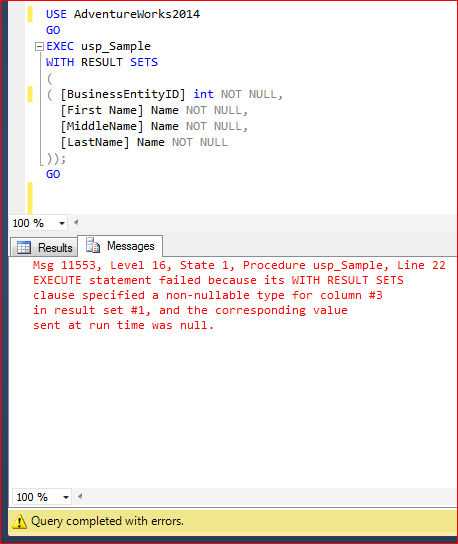 Ooopps…… I am unable to show the actual execution plan (Ctrl + M) of the select query as shown above. The resolution is very simple, actually, once you created the user you did not grant SHOWPLAN access to the USER (Imran). Lets give this user the SHOWPLAN access. Given below is the script. 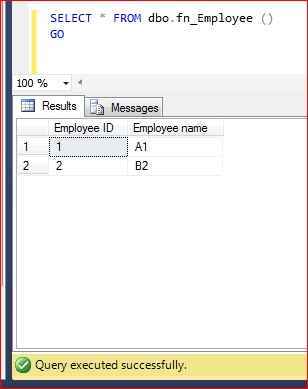 Now, the SHOWPLAN access has been granted, lets re-run the above query with execution plan and it works as shown below. 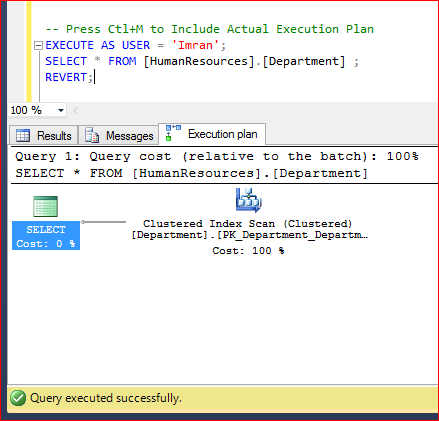 Remember, whenever you want any user to include the execution plan in the query, you MUST give him SHOWPLAN access.